We’re very excited to welcome Jr. Designer Erin Shorthill to Murmur Creative! 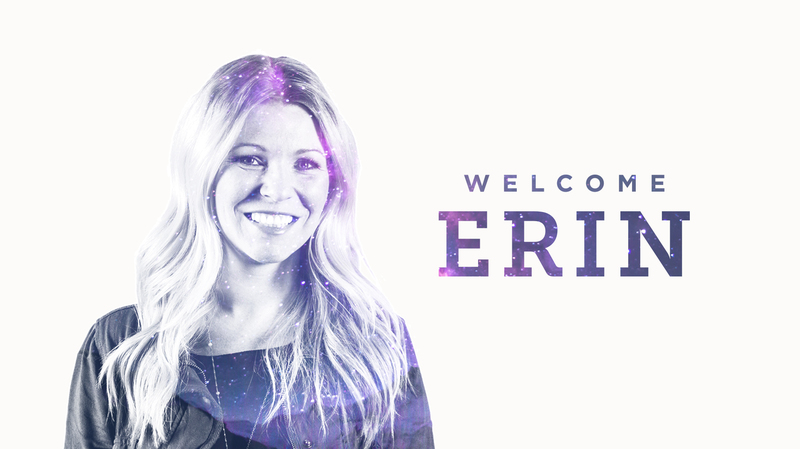 Erin is a fantastic talent straight out of Portland State University (she graduated with a Bachelor of Science in graphic design in late 2016). We’re so excited to have her on board and part of our growing team. In an effort to get to know Erin a little better we asked her a series of questions meant to get straight at the core of her personality. Check out her A+ answers below. 1. Let’s start easy—just to get you acquainted with the Murmur Q&A style. If you were an animal, what would you be? Ah, how to answer this? Can I be a shark? I love to watch Shark Week. Once, I got to swim with a Reef Shark in Hawaii, it was amazing. 2. Nice. Sharks are pretty great. They sleep while swimming. I think that choice probably says a lot about you. Now, since you’ve had an easy one, it’s time for a hard one. Because you’ve been here for about a week, what do you like best about working at Murmur …? The best thing about Murmur is the collaboration and respect the team has for each other. I have watched and listened to the interactions within the team. I have learned so much from being The Intern, that I am super excited to officially be one of the team. The sense of humor in this place is awesome. The design is top notch. 3. I hear you like the “maths,” and that you almost chose to study them in college. What made you gravitate toward the “arts” instead? I was an art major when I was 18, became a hairstylist at 21, went back to school for mathematics–thinking I wanted to be a middle school teacher. Once I passed Calculus 2, I changed majors and went back to art. I had a lot of designers as clients and I was intrigued by the atmosphere, collaboration, and design. I fell in love with design at PSU and it really combines both technical and artistic abilities. 4. Cool, cool. Now tell us about your most embarrassing moment. Hmm, this one time in middle school I laid out with baby oil thinking I could tan and burned myself so badly I looked like a lobster. Literally, bright red. Still have a mark on my shoulder from it. My friend’s still like to bring it up. I don’t tan, I wear sunscreen everyday. 5. Haha, oh Erin. Weird. Name 3 of your favorite books. 6. And 3 of your favorite movies? I can always watch a Harry Potter re-run, doesn’t matter which one. 7. And what’s your favorite spot in Portland? The restaurants. I like to try as many new places as I can. Nuestra Cocina makes a mean margarita. I also love the Art Museum. Butter. Anything cooked with butter. Chocolate and wine are nice too. 10. Lastly, if you weren’t working at Murmur, what would you be doing right now? I’d still be The Intern.